Engineering Career Day is an interactive educational program that is centered around the fields of Engineering for high school students at all levels. 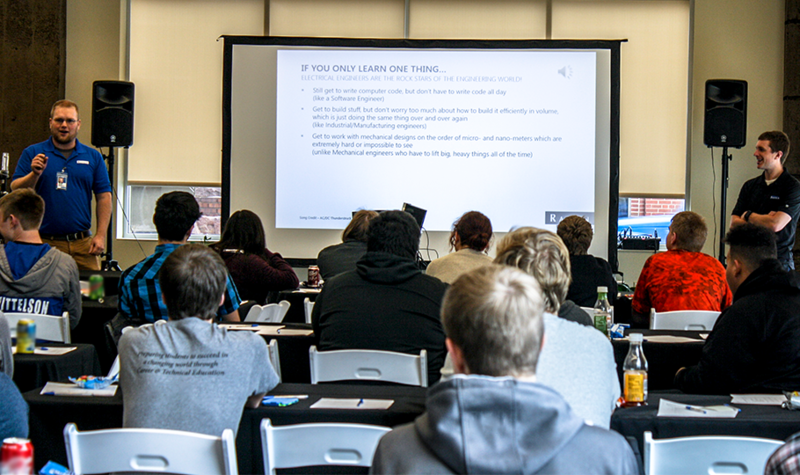 Students participate in a one-day session designed to gain exposure to business leaders, hear from Raven team members, and explore real-life applications of the various disciplines of Engineering. We also welcome students with varying interests in technical experience and/or an undecided career path. I really enjoyed being able to ask questions about what they do for the job. I learned a lot about different types of engineering from that. Every single engineer I met seemed to be so happy doing what they're doing, and that's really inspiring. Participants get the chance to try their own hand at Engineering! 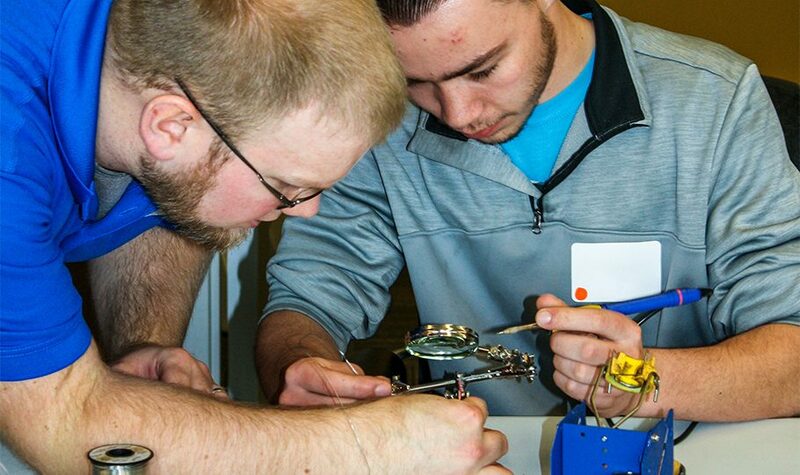 Supervised by Raven Engineers, students each build a sensor, learn the science behind how it works, and experiment with basic soldering. Participants tour the manufacturing facilities of each of our operating divisions. Led by Raven team members, these tours provide a complete view of a product's life within Raven's walls — from engineering and design to manufacturing and repair. After attending Engineering Career Day, I am more likely to pursue a career in engineering. I already wanted to be an engineer, and now with the extra information, I look forward to it even more. Interested in future Engineering Career Day opportunities? Raven also hosts a one-day event for students to explore careers in manufacturing. Interested?